Öğrencilere bilişsel ve psikomotor davranışların kazandırılmasında etkili eğitim yöntemlerinden biri olan interaktif yöntemler, öğrencinin öğrenme sürecine aktif olarak katılımını sağlamaktadır. Bu kapsamda interaktif yöntemlerden olan simülasyon uygulamalarında simüle hasta/standardize hasta kullanılabilmektedir. Simüle hasta, gerçek hasta senaryosunu canlandırmak ve sunmak için eğitim almış kişiler olup öğrencilerin gerçek hasta ortamından önce sanal ya da laboratuvar ortamında deneyime dayalı güvenli bir öğrenme imkânı sunmaktadır. Bu uygulama öğrencilerin; bilgi ve beceri düzeyinin, öz yeterliğinin, motivasyonunun ve kendilerine güvenlerinin artmasını, kaygı düzeyinin azalmasını ve klinik karar verme becerilerinin gelişmesini sağlamaktadır. Bu makalede iletişim eğiti-minde ve psikiyatride simule hasta uygulamalarının kısaca gözden geçirilmesi amaçlanmıştır. One of the effective methods of teaching to earn cognitive and psychomotor behaviors for students is interactive methods in which they actively participate in learning process. Simulated/standardized patient can be used in simulation application which is one type of the interactive methods. The simulant patient consists of those who have been trained to act and display the real patient scenario. The simulant patient provides a safe learning environment based on experience in virtual or laboratory environment prior to the actual patient environment for students. This application helps students to increase the level of knowledge and skills, their self adequacy, their motivation and their safety, reduce their level of anxiety and improve their clinical decision making skills. The aim of this article is to briefly review simulated patient practices in communication training and psychiatry. Akbaba S (2006) Eğitimde motivasyon. Atatürk Üniversitesi Kazım Karabekir Eğitim Fakültesi Dergisi, 13:344-361. Alinier G, Hunt B, Gordon R, Harwood C (2006) Effectiveness of intermediate-fidelity simulation training technology in undergraduate nursing education. J Adv Nurs, 54:359-369. Artemiou E, Adams C, Hecker K, Vallevand A, Violato C, Coe J (2014) Standardised clients as assessors in a veterinary communication OSCE: a reliability and validity study. Vet Rec, 175:509. Bagnasco A, Pagnucci N, Tolotti A, Rosa F, Torre G, Sasso L (2014) The role of simulation in developing communication and gestural skills in medical students. BMC Med Educ, 14:106. Bambini D, Washburn J, Perkins R (2009) Outcomes of clinical simulation for novice nursing students: communication, confidence, clinical judgment. Nurs Educ Perspect, 30:79-82. Benner P, Sutphen M, Leonard V, Day L (2009) Educating Nurses: A Call for Radical Transformation. Stanford, CA, Jossey-Bass. Brophy JE (2013) Motivating Students to Learn, 3rd edition. New York, Routledge. Cato ML (2013) Nursing student anxiety in simulation settings: a mixed methods study (Doctoral dissertation). Portland, Portland State University. Childre DL, Cryer B (1999) From Chaos to Coherence: Advancing Emotional and Organizational Intelligence Through Inner Quality Management. Oxford, Butterworh-Heinemann. Choi YJ (2012) Exploring experiences of psychiatric nursing simulations using standardized patients for undergraduate students. Asian Nurs Res (Korean Soc Nurs Sci), 6:91-95. Dikic MF, Yarış F (2007) Ondokuz Mayıs Üniversitesi Tıp Fakültesi klinik beceri eğitiminde standardize ve simüle hasta programı. Turkiye Klinikleri Journal of Medical Sciences, 27:738-743. Doolen J, Giddings M, Johnson M, Guizado de Nathan G, Badia L (2014) An evaluation of mental health simulation with standardized patients. Int J Nurs Educ Scholarsh, 11:55-62. Eagles JM, Calder S A, Wilson S, Murdoch JM, Sclare PD (2007) Simulated patients in undergraduate education in psychiatry. Psychiatr Bull, 31:187-190. Efstathiou N, Walker WM (2014) Interprofessional, simulation-based training in end of life care communication: a pilot study. J Interprof Care, 28:68-70. Elçin M, Odabaşı O, Sayek İ (2005) Yapılandırılmış objektif klinik sınavlar. Hacettepe Tıp Dergisi, 36:1-2. Epstein RM, Franks P, Fiscella K, Shields CG, Meldrum SC, Kravitz RL et al. (2005) Measuring patient-centered communication in patient–physician consultations: theoretical and practical issues. Soc Sci Med, 61:1516-1528. Elfrink VL, Kirkpatrick B, Nininger J, Schubert C (2010) Using learning outcomes to inform teaching practices in human patient simulation. Nurs Educ Perspect, 31:97-100. Franklin AE, Boese T, Gloe D, Lioce L, Decker S, Sando CR et al. (2013) Standards of best practice: simulation standard IV: facilitation. Clin Simul Nurs, 9 (Suppl 6):S19-S21. Garcia-Carbonell A, Rising B, Montero B, Watts F (2001) Simulation/gaming and the acquisition of communicative competence in another language. Simul Gaming, 32:481-491. Gayef A, Sarıkaya Ö (2012) Sağlık Hizmetleri Meslek Yüksekokulu öğrencilerinde mesleki güdülenme. Tıp Eğitimi Dünyası, 33:9-18. Gosselin AM (2013) Nursing simulation experience: self-efficacy, state anxiety, locus of control, and simulation effectiveness (Senior honors thesis). New Hampshire, University of New Hampshire. Göral G (2011) Hemşirelik ve tıp öğrencilerinin zor hasta algısı ve zor hasta ile iletişimlerinin belirlenmesi (Yüksek lisans tezi). Antalya, Akdeniz Üniversitesi. 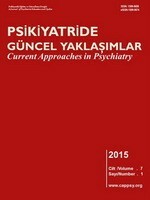 Göriş S, Bilgi N, Bayındır SK (2014) Hemşirelik eğitiminde simülasyon kullanımı. Düzce Üniversitesi Sağlık Bilimleri Enstitüsü Dergisi, 4(2):25-29. Harnof S, Hadani M, Ziv A, Berkenstadt H (2013) Simulation based interpersonal communication skills training for neurosurgical residents. Isr Med Assoc J, 15:489-492. Howley LD, Martindale J (2004) The efficacy of standardized patient feedback in clinical teaching. a mixed methods analysis. Med Educ Online, 9:4356. Hsu LL, Chang WH, Hsieh SI (2015) The effects of scenario-based simulation course training on nurses' communication competence and self-efficacy: a randomized controlled trial. J Prof Nurs, 31:37-49. Jackson VA, Back AL (2011) Teaching communication skills using role-play: an experience-based guide for educators. J Palliat Med, 14:775-780. Kardong-Edgren S, Adamson KA, Fitzgerald C (2010) A review of currently published evaluation instruments for human patient simulation, Clin Simul Nurs, 6:25-35. Klakovich MD, Cruz FA (2006) Validating the interpersonal communication assessment scale. J Prof Nurs, 22:60-67. Kim HY, Ko E, Lee ES (2012) Effects of simulation-based education on communication skill and clinical competence in maternity nursing practicum. Korean Journal of Women Health Nursing, 18:312-320. Kim YH, Jang KS (2011) Effect of a simulation-based education on cardio-pulmonary emergency care knowledge, clinical performance ability and problem solving process in new nurses. J Korean Acad Nurs, 41:245-255. King J (2012) Nursing student satisfaction and self-confidence as related to high fidelity simulation (Masters thesis). Indiana, Ball State University. Kirkman MA, Muirhead W, Nandi D, Sevdalis N (2014) Development and psychometric evaluation of the “Neurosurgical Evaluation of Attitudes towards Simulation Training”(NEAT) tool for use in neurosurgical education and training. World Neurosurg, 82:284-291. Koponen J, Pyörälä E, Isotalus P (2014) Communication skills for medical students results from three experiential methods. Simul Gaming, 45:235-254. Kruijver IP, Kerkstra A, Kerssens JJ, HoItkamp CC, Bensing JM, Wiel HB (2001) Communication between nurses and simulated patients with cancer: evaluation of a communication training programme. Eur J Oncol Nurs, 5:140-150. Kushner RF, Zeiss DM, Feinglass JM, Yelen M (2014) An obesity educational intervention for medical students addressing weight bias and communication skills using standardized patients. BMC Med Educ, 14:53. Lane C, Rollnick S (2007) The use of simulated patients and role-play in communication skills training: a review of the literature to August 2005. Patient Educ Couns, 67:13-20. Lasater K (2007) High-fidelity simulation and the development of clinical judgment: students' experiences, J Nurs Educ, 46:269-276. Liaw SY, Zhou WT, Lau TC, Siau C, Chan SW (2014) An interprofessional communication training using simulation to enhance safe care for a deteriorating patient. Nurse Educ Today, 34:259-264. Lurie SJ, Mooney CJ., Nofziger AC, Meldrum SC., Epstein RM (2008) Further challenges in measuring communication skills: accounting for actor effects in standardised patient assessments. Med Educ, 42:662-668. Mercan N, Özcan CT (2016) Tıp ve hemşirelik öğrencilerinin eğitiminde kullanılmak üzere "Simüle Hasta Uygulama Etkinlik Ölçeği'nin Geliştirilmesi" (Doktora tezi). Ankara, Sağlık Bilimleri Üniversitesi. Michael P, Pagano E, Campbell SH, Currie LM, Chamberlim E, Pates CA (2015) Validating the health communication assessment tool (HCAT). Clin Simul Nurs, 11:402-410. Moule P (2011) Simulation in nurse education: past present and future. Nurse Educ Today, 31:645-651. Murray BA (2014) The use of high-fidelity simulation in psychiatric and mental health nursing clinical education. Int J Health Sci Educ, 2(1):3. Onay M, Süslü ZH, Kılcı S (2011) İletişim tarzının ve sözsüz iletişimin çalışanların iş performansina etkisi: posta dağıtıcıları ve hemşireler üzerine bir araştırma. SÜ İİBF Sosyal ve Ekonomik Araştırmalar Dergisi, 21:140-177. Perera J. Abdullah J. Lee N (2009) Training simulated patients: evaluation of a training approach using self-assessment and peer/tutor feedback to improve performance. BMC Med Educ, 9:37. Robinson-Smith G, Bradley PK , Meakim C (2009) Evaluating the use of standardized patients in undergraduate psychiatric nursing experiences. Clin Simul Nurs, 5:203-211. Ryan CA, Walshe N, Gaffney R, Shanks A, Burgoyne L, Wiskin CM (2010) Using standardized patients to assess communication skills in medical and nursing student. BMC Med Educ, 10:24. Saaranen T, Vaajoki A, Kellomäki M, Hyvärinen ML (2015) The simulation method in learning interpersonal communication competence experiences of masters' degree students of health sciences. Nurse Educ Today, 35:8-13. Sarikoc G, Özcan CT., Melih Elcin M (2017) The impact of using standardized patients in psychiatric cases on the levels of motivation and perceived learning of the nursing students. Nurse Educ Today, 51:15-22. Schaufelberger M, Frey P, Woermann U, Schnabel K, Barth J (2012) Benefits of communication skills training after real patient exposure. Clin Teach, 9:85-88. Shirazi M, Sadeghi M, Emami A, Kashani S, Parikh S, Alaeddini F et al. (2011) Training and validation of standardized patients for unannounced assessment of physicians’ management of depression. Acad Psychiatry, 35:382-387. Souza-Teixeira CR, Kusumota L, Alves-Pereira MC, Braga M, Titareli F, Pirani Gaioso V et al. (2014) Anxiety and performance of nursing students in regard to assessment via clinical simulations in the classroom versus filmed assessments. Invest Educ Enferm. 32:270-279. Şenol Y, Yardım S, Başarıcı İ (2014) Öğrenci̇leri̇n standart hasta uygulaması hakkındaki görüşleri: birinci yıl sonuçları. Tıp Eğitimi Dünyası, 41:19-26. Turan S, Üner S, Elçin M (2011). The impact of standardized patient feedback on student motivational levels. Balkan Med J, 28:43-48. Üstün B (2005) Çünkü iletişim çokşeyi değiştirir! Atatürk Üniversitesi Hemşirelik Yüksekokulu Dergisi, 8:88-94. Yazar F (2003) Tıp eğitiminde beceri labaratuarları ve simülatörlerin kullanılması. Gülhane Tıp Dergisi, 45:96-99. Williams B, Dousek S (2012) The Satisfaction with Simulation Experience Scale (SSES): a validation study. J Nurs Educ Pract, 2:74-80. Yıldırım F, İlhan, İÖ (2010) Genel Öz Yeterlilik Ölçeği Türkçe formunun geçerlilik ve güvenilirlik çalışması. Türk Psikiyatri Dergisi, 21:301-308.